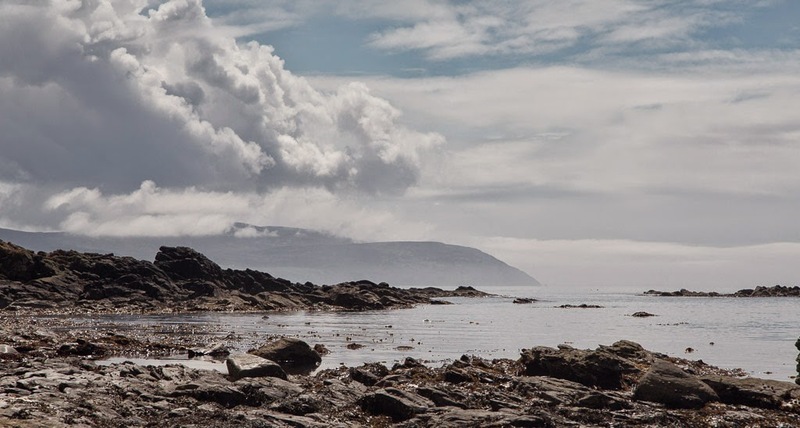 North of Machrihanish Bay, the coast of Kintyre has a rocky character. It was not easy to land due to the surf so we had a careful look at the several "ports" which are named on the map. "Port" usually signifies a traditional landing spot for a small boat.We passed Westport, Port nam Marbh, Port Corbert, Port na Croise and Port Crom but each faced west and was full of breaking surf. Historically this must have been an important coast as in addition to the ports, we passed six duns and forts and there were more further north. 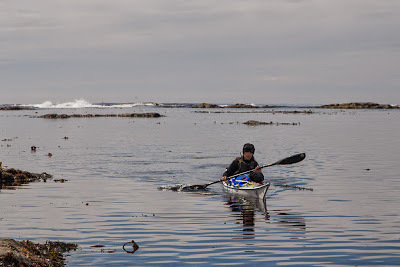 We finally found a small inlet which was protected from the surf by offshore reefs at Killocraw. 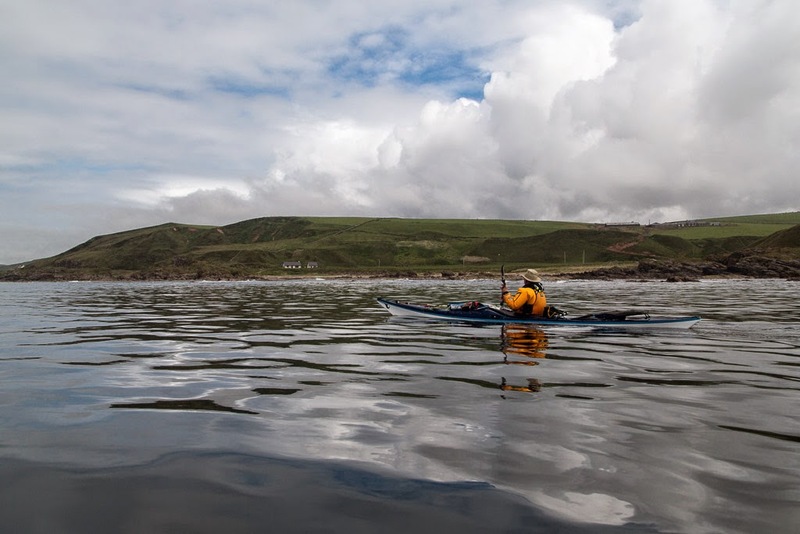 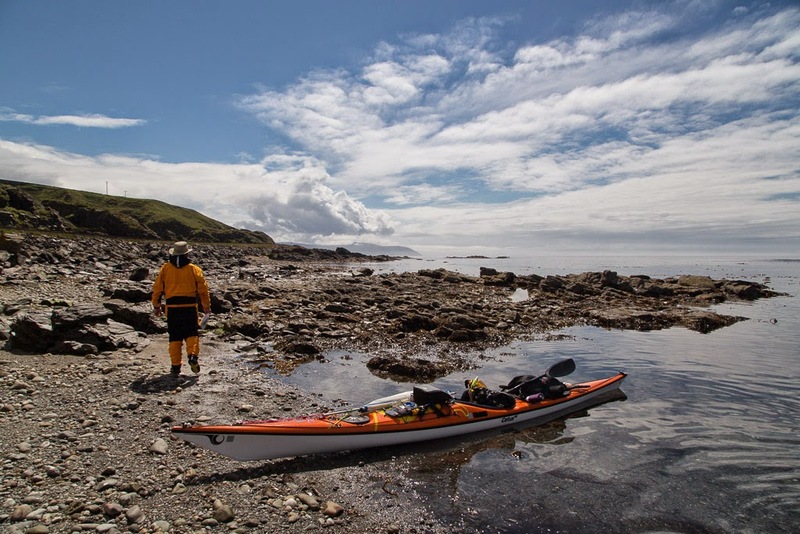 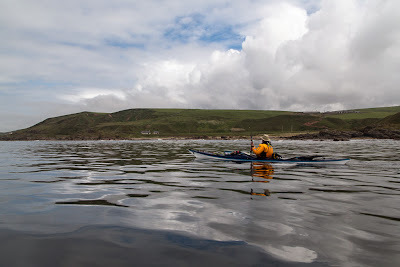 ...hills of the Mull of Kintyre, round which we had paddled 65 km since the previous evening.